PHOENIX, Ariz. — The national law firm of Quarles & Brady LLP today announced that Phoenix attorney Jason F. Wood has been appointed to the 2016-2017 board of directors for Habitat for Humanity Central Arizona. In his role, Wood will assist Habitat for Humanity in its fundraising and operational efforts to support its mission to help local families in need of decent, affordable housing. 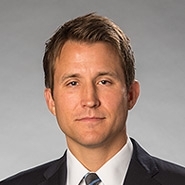 Wood is a member of the firm’s Real Estate Practice Group, focusing his practice on a wide array of transactional real estate matters locally and throughout the country. In particular, he has significant experience in forming joint ventures, commercial leasing, acquisitions and dispositions, sale leaseback transactions, real estate secured lending, development and redevelopment projects, corporate mergers and acquisitions, and construction contracts. His real estate practice also includes the preparation of CC&R's and related project documents in connection with the development of master-planned communities, condominiums, shopping centers, and mixed-use developments. Wood holds an AV® Preeminent Rating by the Martindale-Hubbell Peer Review Ratings system, and has also been selected for inclusion in Southwest Super Lawyers lists in the area of real estate law. He is actively involved in the Arizona District Council of the Urban Land Institute and the Arizona and New Mexico Operations Committee of the International Council of Shopping Centers. Wood earned his law degree from the University of Texas School of Law and, and his bachelor’s degree from the University of Arizona. Established in 1985, Habitat for Humanity Central Arizona partners with local families in need of decent, affordable housing to build strength, stability and self-reliance through shelter. Habitat for Humanity Central Arizona also promotes volunteer programs with corporations, groups and individuals. Their services include new home construction, re-constructions, renovations, repairs (even emergency repairs) and most recently, entire neighborhood revitalization projects. Consistently ranked among the Top 10 of 1,600 affiliates nationally, Habitat for Humanity Central Arizona has built more than 1,100 homes in the metro Phoenix area. To learn more, please visit www.habitatcaz.org.